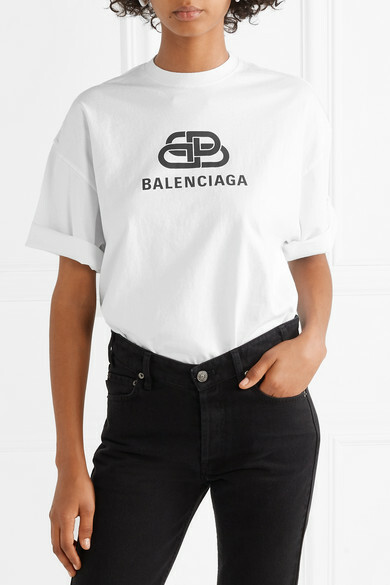 As any true fan of Balenciaga knows, Demna Gvasalia has a penchant for reworking the house's logo - the interlocking 'BB' version on this T-shirt might be the coolest yet. 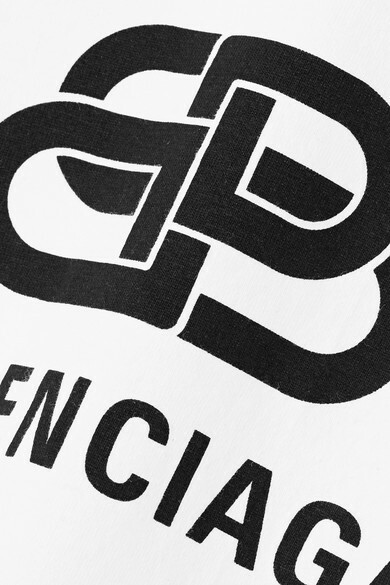 Made from cotton-jersey, it's cut with dropped shoulders for an oversized fit. 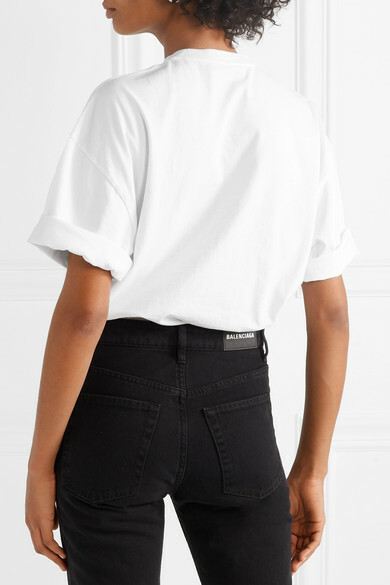 Wear yours tucked into high-rise jeans. 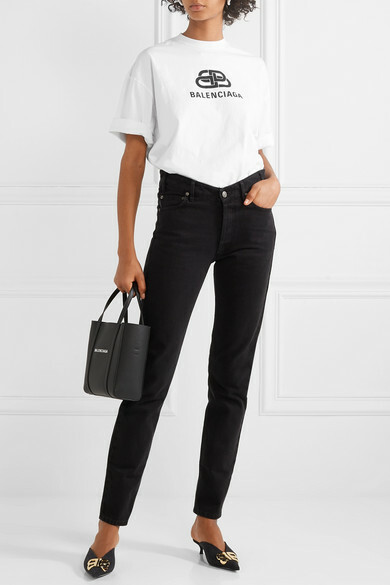 Shown here with: Balenciaga Jeans, Balenciaga Jacket, Balenciaga Tote, Balenciaga Earrings.